Online presence gets more and more important as more and more people surf the net and check for information on the internet. How well prospect customers will know you depends on how you project your internet shop front. Trust us, since you are reading this portion our web presence, you must be having a better idea of how we work. We believe that in looking for hosting partners, You need phone reachable and good hosting partners to ensure that your e-mails and website are always reachable by your clients. In this information technology age whereby deals and contracts are done through e-mails you really cannot afford downtime On your e-mail and e-commerce site. We believe and have all along provided contact number for you to call and unlike other service providers who only offer e-mail and ticket based support, We do service with a different, because we know the frustration of submitting a ticket and waiting for e-mails replies when you already have problem with your e-mail services. Our hosting services comes with free local phone support giving you peace of mind knowing that in case of any emergency, help is just a phone call away. Our Main Servers are hosted in Singapore’s Data Center, Offering one of the best infrastructure in Singapore to house our server, with 24 Hours CCTV Security Surveillance, UPS, and a 1000KVA Backup Diesel Generator, Specialised Air Conditioning System are just a few of the features we are naming. As it’s nearer to home you can be sure that in the case of Hardware failure on our server, We have almost immediate access to the data center to do troubleshooting and repair. 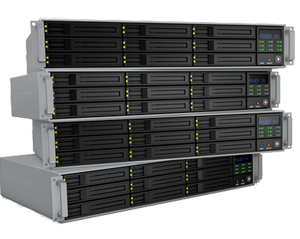 With our established partnership with our US Data Center Partner, We are pleased to bring to you bigger size data hosting and at a cheaper rate. Offering us 99.5% uptime services and bigger hosting space at lower cost, We have passed all the savings to you. It comes with all necessary features to get you up and going in less than ^1 day. Our US Data Center hosting is backed with 24/7 support 365 days a year During Singapore working hours, support will be by us, once after our office hours, Support will be done by our US partners, you will still be assured of the timely support. If needed, you can still give us a call. We will be glad to assist you.